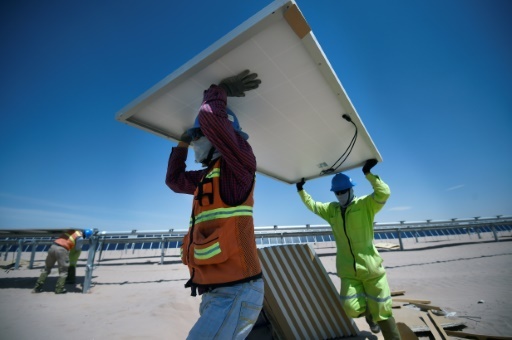 Viesca (Mexico) (AFP) – Driving through the endless dunes and cacti of the Chihuahuan desert in northern Mexico, a shimmering blue field suddenly appears on the horizon — not a mirage, but the largest solar park in Latin America. AFP/File / Alfredo ESTRELLA. When the plant reaches full capacity, it will supply enough electricity to power 1.3 million homes. Featured Photo: AFP / Alfredo ESTRELLA. 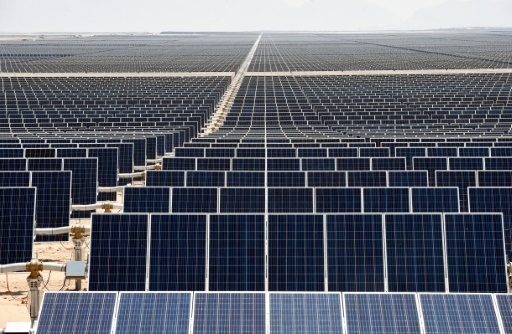 The Villanueva photovoltaic (PV) power plant is the biggest solar project in the world outside China and India. Yussel Gonzalez is a correspondent for AFP. Previously reported from Singapore for Yahoo! News. His reporting has appeared in Yahoo, France 24, Times of Israel, La Presse, Daily Star (Lebanon), Gulf Times, El Nuevo Herald, Japan Today, IndustryWeek and more.